There were over 140 entries submitted from CedarBridge Academy, Saltus, and Bermuda High School students. 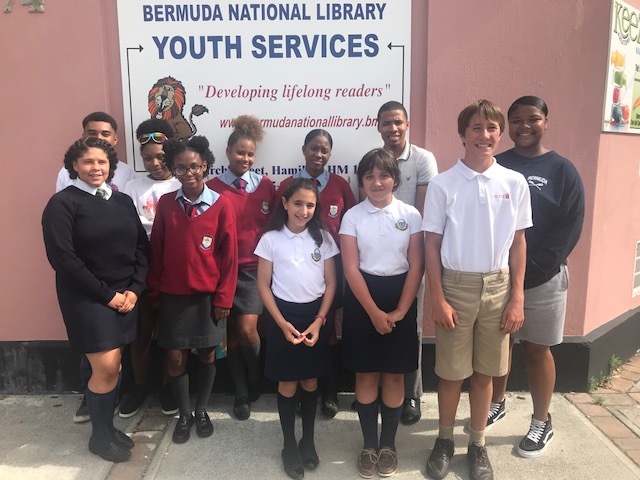 The winners in the 11-13 category were Gabrielle Turchiaro [BHS] in first, Ben Copeland [Saltus] in second, and Elodie Manning [BHS] in third. The winners in the 14-18 category all hailed from CedarBridge Academy, including Zyjae Trott-Philip in first, Charis Burrows in second, and Daliah Gibbs in third.